The client was interested in novel routes for the formation of a crystalline phase with potential use in various bone-replacement scenarios. Although the target phase could be generated via conventional high temperature processing, the client was unhappy with the yield and product purity. A process was required that was high yielding, safer to conduct and was more sustainable. A review of the literature (undertaken using the World Ceramic Abstract service, run by Lucideon Limited) revealed aqueous sol-gel routes with potential. Using Lucideon’s expertise these procedures were adapted to allow new elements to be included in the product, meeting the client’s needs. Lucideon undertook small-scale preparations and employed in-house analysis to show the required stoichiometry. Further investigation was conducted to determine the optimal temperature vs time profile for developing the target crystalline phase at high % yield. Lucideon demonstrated the robustness of the preparation and involved their in-house chemical engineering team to work with the client on scaling up the new process. Lucideon delivered a process that produced products of a higher quality, and in greater yields, with lower energy requirements and improved safety. The client gained confidence in a process that was both reproducible and scalable. They appreciated that they could rely on Lucideon supporting them - from scaling up the process to market launch. An unexpected spin-off project (discovered during discussions at a wash-up meeting) was that the dried, pre-sintered amorphous material might also have bioactive properties. 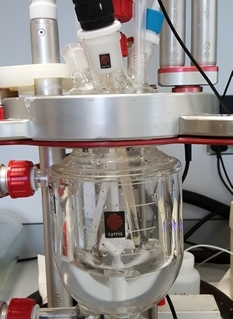 Given the fact low temperature processing is used up to this process point, the potential for in-situ loading of active components (drugs, anti-bacterials, growth factors etc.) exists.